Or, to use its proper title: Stan Lee's Lucky Man. 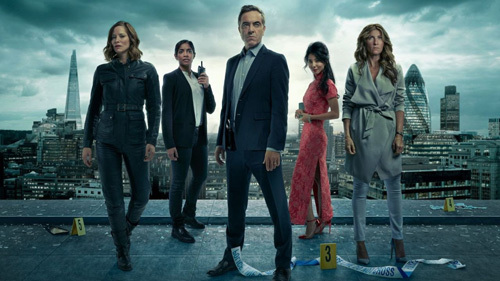 I have no idea how involved Marvel's Stan Lee was in the creation of this fantasy cop drama, but wouldn't be surprised if he was simply cornered at London Comic Con by Sky TV execs and forced to pitch them an idea. Slapping Lee's name into the title is supposed to lend this series legitimacy, but all it does it create misguided preconceptions. For those unaware of who Stan Lee is, most viewers will perhaps assume he's an author on par with Lynda La Plante; and for those aware Lee's the creator of superheroes like The Fantastic Four and Spider-Man, they'll be wondering where Lucky Man's spandex is and when James Nesbitt gets to wear a cape. The worrying thing about the opening two instalments of Lucky Man is how secondary its high-concept feels to everything going on; meaning that much of it plays like yet another formulaic detective drama. It sounds like a very entertaining and exciting setup for a good yarn, and perhaps one will eventually develop, but the premiere was especially underplayed. 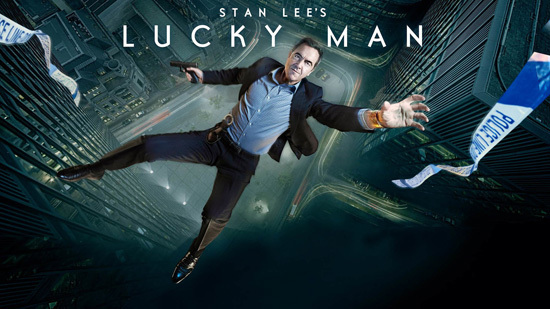 It almost felt like Lucky Man began life as a clichéd cop drama script someone at Sky dusted off and added Stan Lee's fantasy ingredient, but in the wrong dosage. For instance: in the first few episodes, where the creators are supposed to be doing everything they can to get viewers excited and desperate to watch more, Harry's magic bracelet... um, lets him avoid a car accident, then short circuits a CCTV feed at work. Here's hoping the show gets more inventive moving forward, because those are things that could naturally have happened without a magical bracelet being part of the narrative. Things got slightly more imaginative in episode 2, with a greyhound race where Harry swapped his "winning ticket" before the finish and still won, then later walked across a busy motorway in pursuit of a suspect and didn't get run over, but I'm still waiting for the show to do justice with its own idea. I also have some questions: If Harry's always going to have good luck when wearing the bracelet (which he can't remove), that seemingly limits all sense of jeopardy. When the premiere ended with Harry about to drown in the Thames, his ankle snagged by underwater ropes, it wasn't much of a cliffhanger because he has a lucky-attracting bracelet on! And what's to stop his sleuthing being made simpler by flicking through mugshots of suspects and "randomly" pointing out the culprit? If he's wearing the bracelet, serendipity will guide him down the correct path of inquiry, right? It feels like the idea removes too much of Harry's agency as a person, although I get the distinct impression the writers haven't given these matters much thought. Lucky Man feels like just another formulaic cop drama, hesitant to embrace its own uniqueness. I hope things change and Harry's mastery of luck plays into events better, because without the magic bracelet Lucky Man isn't very special. And for something that trades on Stan Lee's name (even throwing in one of his trademark cameos), it's currently a very boring "superhero show".